Beautiful Incentives: Fall into Neutrals with World Market this season. 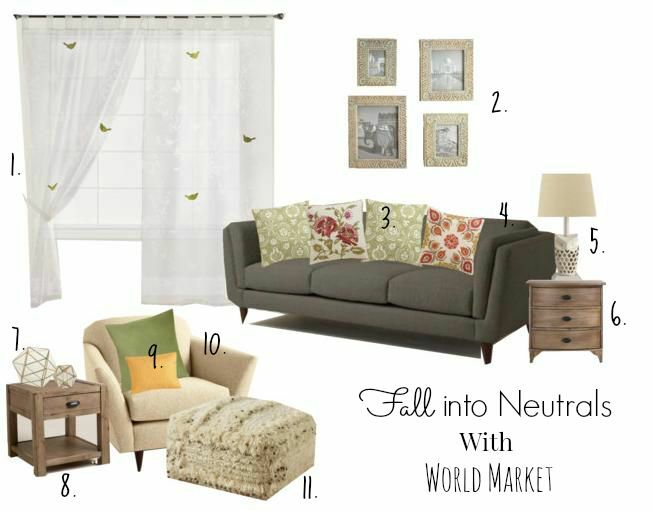 Fall into Neutrals with World Market this season. Summer isn't over quite yet, but I have been feeling the Autumn bug ever since the end of July. I avidly await the cooler air, spicy scents, pumpkin spice everything and new decor for my living space. But let's face it, I started shopping for that a month ago. It's never too early to plan your decor theme. In the summer, I am all about aquas and pinks, but when fall hits, I love different colors that always fall into the neutral and deep colors palette. So come fall into neutrals with me this season, through my Mood board, using some of my favorite World Market products from their new fall line! I am in love with the clean lines, airy feel and unique shapes, such as the owl lamp and hexagonal accessories. 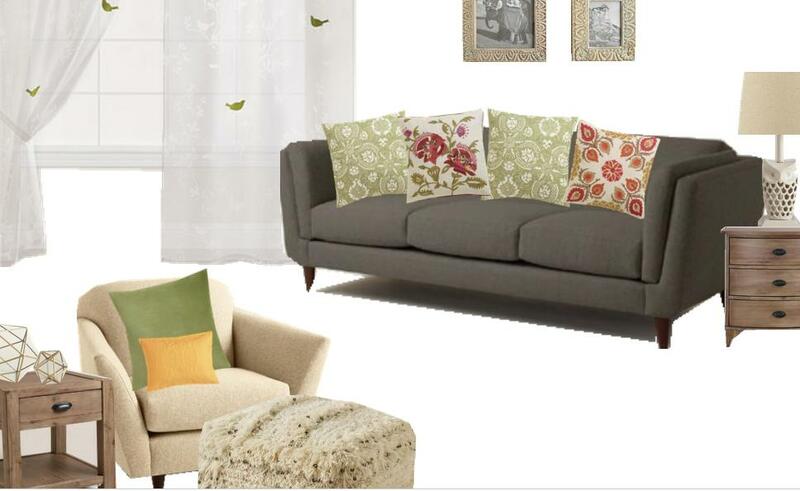 This fall look has a very boho like charm, from the furry pouf ottoman to the elegant patterned pillows. The furniture is big, warm and inviting. With neutrals, you are left with a blank slate to play with a bunch of colors. I like pops of colors here and there and if you can't tell, i'm big on throw pillows to do that for me. With neutrals you can play around with your palette so much. 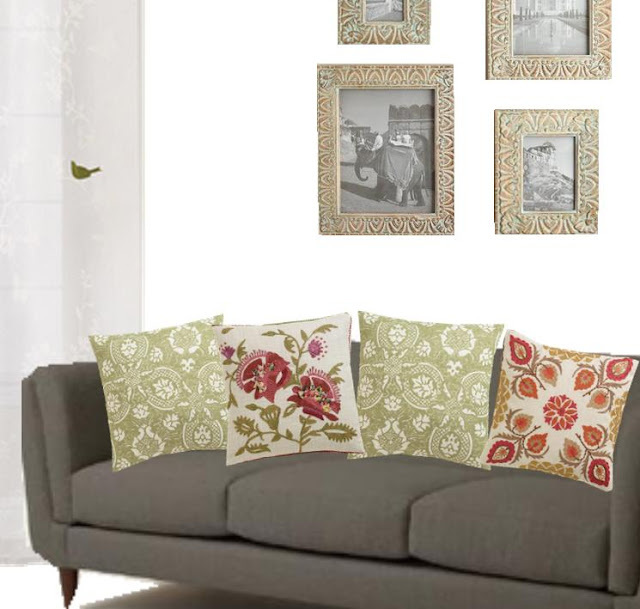 These throw pillows from the new fall line are gorgeous and their designs pop. Don't be afraid to mix designs and materials. It will give your look dimension and character! This mood board was inspired by World Market's Fall line and has not been compensated for, but thoroughly enjoyed. I had no idea I was so on-trend! I have several pieces like these in my living room! Woo hoo! What a great look! Fall is my favorite season by far! I really enjoy when it's time to decorate for Fall :) I especially like those pillows. I miss shopping at World Market. We had one right by our first apartment in Los Angeles and loved all the neat stuff you could find there! Fall is one of my favorite seasons! All of those pieces look awesome!